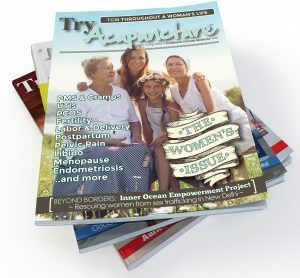 About: Specializing in orthopedics, sports medicine and prenatal-birth-postpartum acupuncture. About: We are a holistic health practice serving the needs of the residents and visitors of southwest Florida for over 20 years!! About: Wellness is the state of Optimal well-being in body, mind, and spirit. The attainment of wellness requires a combination of science and art. At Art of Wellness, our mission is to provide the best holistic health care through acupuncture and Traditional Chinese Medicine. A good healer seeks to address all aspects of the person. By treating not only the symptoms of an illness, but also the source from which the illness originates, we aim to help our patients heal, to alleviate physical and emotional sufferings, to preserve health and vitality, and to prevent further illness. With exceptional training in Eastern and Western medicine from China, Dr. Tan & Dr. Cai have helped thousands of patients over their two decades of medical practice. Their unique skills, acquired over a lifetime of intense training and mastery of Qigong and martial arts, allow them to share not only medical knowledge, but abundant and powerful Qi ("Chi"), a palpable energy that is a powerful adjunct to healing. It is this Qi, or subtle energy, that allows healing on a holistic level. Name: Jordan Barber, L.Ac., L.M.T. About: Post graduate education in Orthopedics and Rehabilitation. Please visit our website for details. About: I am always astounded by how resilient the human body is, and most of the time we do not appreciate it until there is a barrier that is preventing us from feeling optimal. For those of you that have had a sports related injury or any physical injury, there are times where you will surprise yourself with how quickly you can recover. I have personally used acupuncture to benefit physical endurance, alignment, and rehabilitation in exercise and my maintenance of overall health. Not only do acupuncture and herbs help to keep you looking and feeling good, regular treatments can also help to keep your immune system strong throughout the year! I grew up drinking the herbal teas my mother used to make for my sister and me. She always told me that this was the way of taking care of the body, as these Chinese herbal remedies were passed down to her from my ancestors. I always doubted her until I decided to go to school to satiate my curiosity of my Chinese heritage and of alternative forms of medicine. I have always been interested in medicine and finished my bachelors in microbiology and clinical laboratory science with hopes of going to medical school. After doing some research at Miami University about Aloe vera and its medicinal properties, and with some inspiration from my family, I made plans to pursue graduate studies at Pacific College of Oriental Medicine. So far my journey to San Diego has opened my eyes to the benefits of both Eastern and Western medicines, which has also blessed me with the rewarding ability to help others. I am truly grateful for all the wonderful people that I have met along the way! I am a huge supporter of preventative medicine and aging gracefully by living a healthy lifestyle. Some of my favorite hobbies include yoga, running, traveling, cooking with friends, and learning about different cultures around me. I want to support you in what you love to do, especially if you want to live a better quality of life. I will tailor my treatments to your specific needs, and we will use realistic approaches to achieve results. I want to be part of your health and "feel-good" team. I believe when you treat your body well and with respect, it will reward you a thousand-fold! I invite you to come in and make an appointment with me. 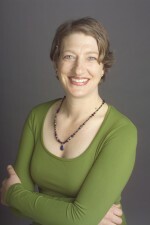 I would love to meet you and help you discover how acupuncture can change your life. 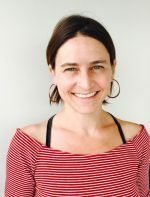 About: Jenny Nieters, L.Ac., Sports Medicine and Orthopedic Acupuncturist, serving Alameda,Oakland and the East Bay areas. She specializes in sports injuries, rehabilitation and sports performance. 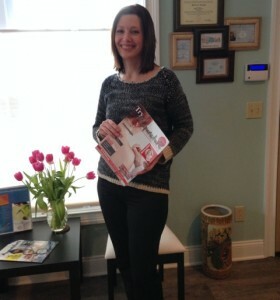 Street Address: 1535 Jefferson St.
About: Allison integrates Acupuncture & Bodywork to achieve optimum healing results. 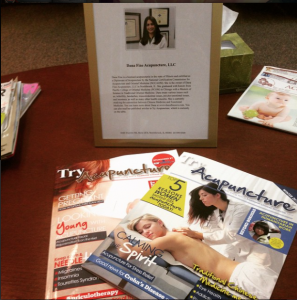 Her practice is focused on, but not limited to, Acupuncture Sports Medicine, pain management, orthopedic acupuncture, surgical prevention, post-surgical rehabilitation, automobile accident pain management, and various athletic injuries. 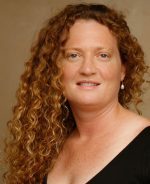 Through 12 years of practice as a healing professional, Allison has seen consistent success utilizing Acupuncture & Bodywork therapies together to achieve results. Acupuncture is highly effective to treat migraines, pain and inflammation. About: Graduated with a Masters of Science degree from the American College of Traditional Chinese Medicine in San Francisco, 2002. National Certification Commission for Acupuncture and Oriental Medicine, 2002. 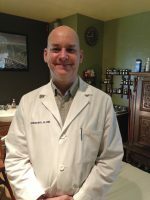 About: Alameda Acupuncture is a group of Traditional Chinese Medical practitioners led by Dr. John Nieters, L.Ac. DAOM. Our practitioners work cooperatively and coordinate care. Our patients have the option to come in six days a week including some evenings and know that we can provide care a moment's notice. This is especially helpful with urgent care orthopedics, colds and flu and in integrative fertility treatments. Offerings include acupuncture, electroacupuncture, cupping, moxabustion, custom herbal prescriptions, supplements, dietary therapy, tui na orthopedic massage, chi nei tsang abdominal massage, exercise and diet plans and cutting edge low-cost laboratory testing, free educational workshops and seminars designed to promote community and sustain the effects of treatment. About: I treat the whole person; body, mind and spirit.